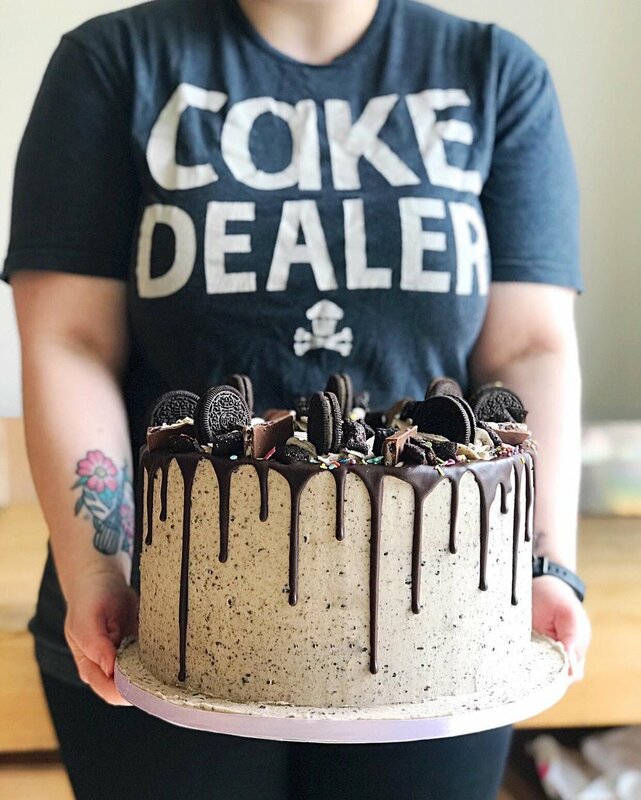 Lily Pink Bakery is a home based bakery in South Belfast specialising in delicious buttercream celebration cakes, cupcakes and buttercream wedding cakes. Our cakes are all baked with love and care using local ingredients and free range eggs. Established in 2012, we hold a 5* health rating from Belfast City Council and a 5* rating on Facebook. CLAIRE MAGOWAN-Brown, LILY PINK BAKERY OWNER. Owner Claire discovered her passion for baking after her Granny Lily taught her to bake her favourite chocolate fairy cakes when she was little. She LOVES colour and fun and uses modern cake techniques to create unique showstopper cakes fit for any celebration! Her favourite cake flavour is chocolate fudge! We are most active on Instagram! Follow us to see the ins and outs of running a cake business and keep up to date with our latest bakes.